The Museum collection contains a utilitarian stretcher which does not not look too comfortable for its unfortunate incumbent. Behind this simple object lies an interesting story. This stretcher is an excellent example of one of over 600,000 of its kind which were designed and constructed on the eve of the Second World War in 1939. They were intended to be an easily mass produced stretcher for use by the Air Raid Precautions (ARP) organisation if, as it was believed, London was bombed upon the breakout of war. 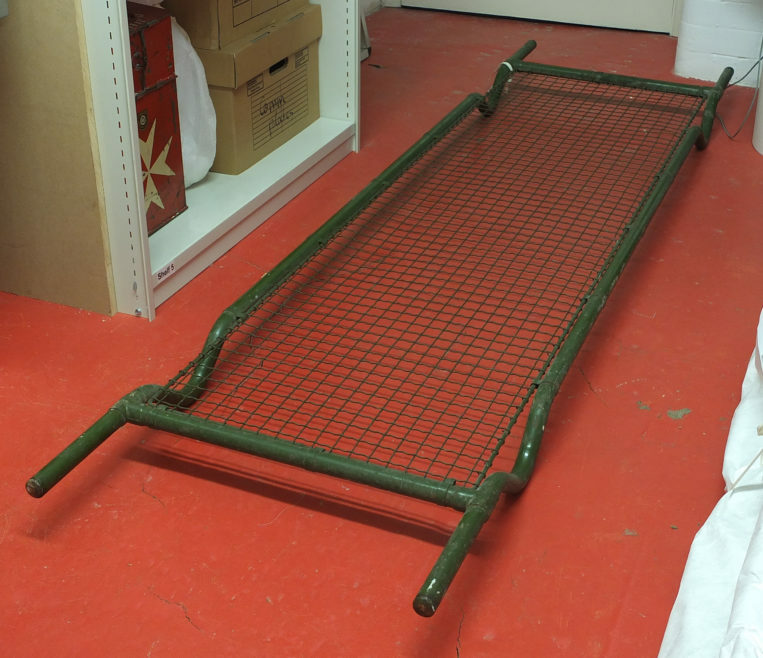 The stretchers could be simply and quickly manufactured; consisting of two steel poles with a wire mesh in between for the patient to lie on and two kinks at either end of each pole allowed the stretcher to be rested on the ground and picked up easily. The wire mesh was uncomfortable for the patient but allowed the stretcher to be easily decontaminated in the event of a gas attack. 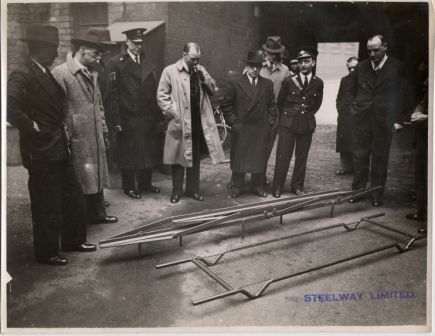 Three photographs from the Museum’s collection (displayed below) show a demonstration of a collapsible steel frame, manufactured by Steelway, which could be used with the stretcher to make a temporary bed in emergencies. 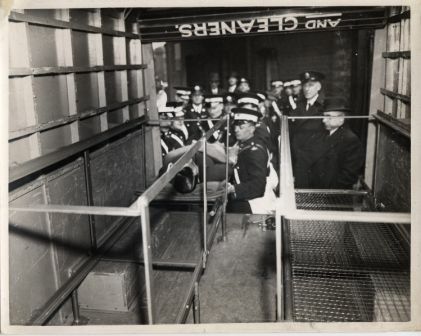 Another photograph shows St John Ambulance Brigade personnel loading a stretcher onto frames installed in the back of civilian van, creating a rudimentary ambulance in time of need. 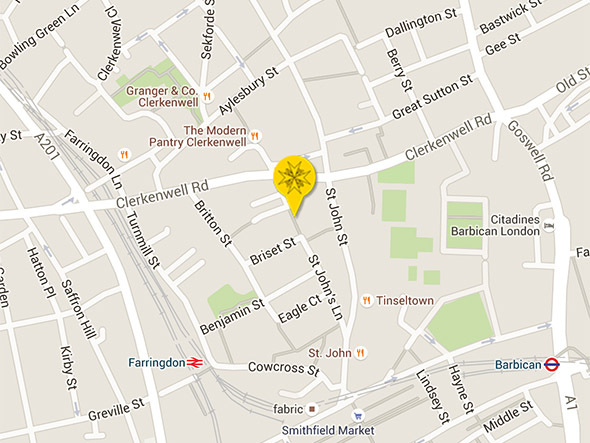 The scale of production indicates the level of casualties which the authorities expected London to suffer. This was not to be, and casualties, though high, fortunately did not meet expectations. At the end of the war, the authorities were left with an enormous stockpile of stretchers. Railings across the capital had been removed at the beginning of the war in an effort to fuel the desperate production of munitions and war materials. The ARP stretchers were a handy expedient. 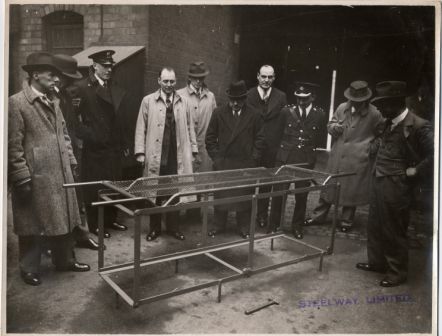 Across London, particularly in the south-east and east, the stretchers were welded vertically together, complete with their kinked poles and wire mesh middle and fixed into position. 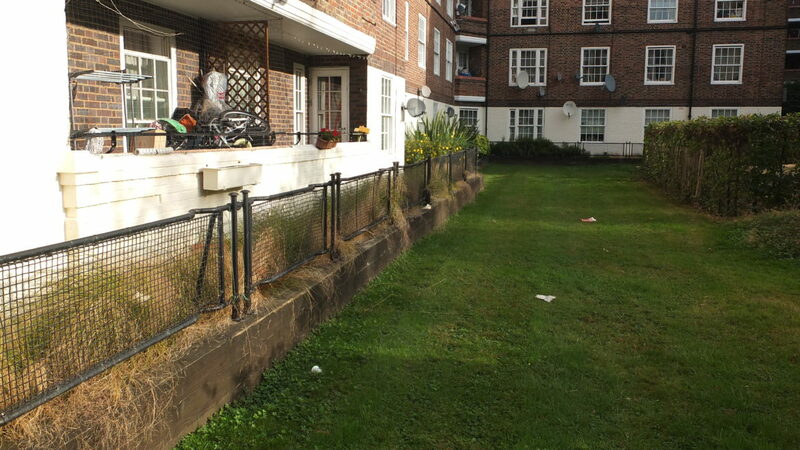 Many examples survive today at the Kennington Park Estate (see photos), the Glebe Estate in Camberwell, the Mereton Estate in Deptford and the East Dulwich Estate. 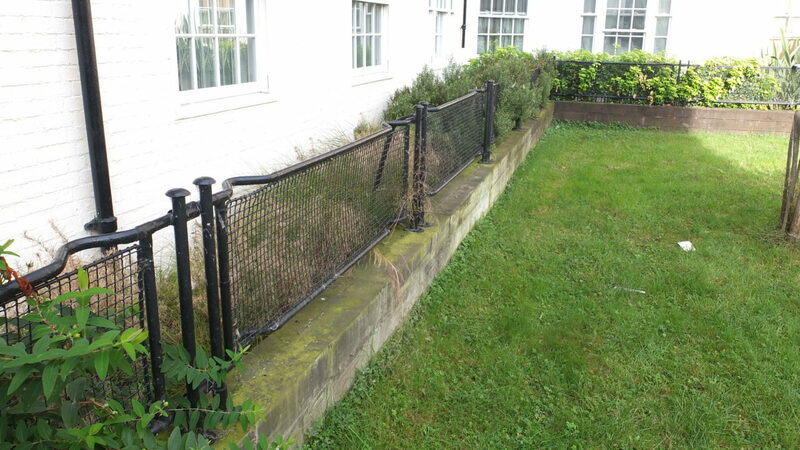 Stretchers still in-situ as railings at the Kennington Park Estate, London.